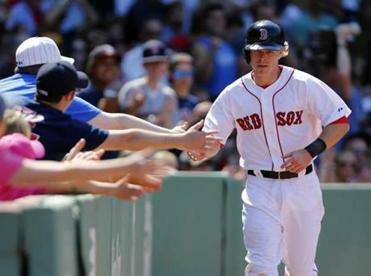 Brock Holt earned an All-Star selection by giving the Red Sox a shot in the arm — no matter what position he is asked to play. 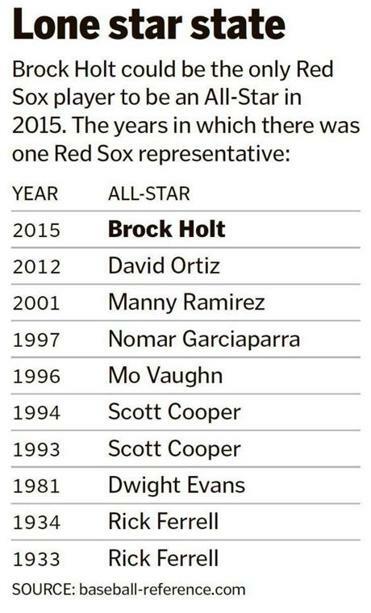 Brock Holt ranks as one of the most improbable and most unusual Red Sox All-Stars ever. By his own admission, his addition to the American League squad represented a “pretty surreal” landmark for a player who didn’t open the year as a regular member of his team’s lineup. He’s a ninth-round draft pick who was already a rare species as a player capable of contributing at seven positions — just the fifth Red Sox ever to play all four infield and all three outfield positions in the same year (something he has now done in consecutive years). To do so at an All-Star level? Absurd. To do so after having been a secondary piece in a trade? Ridiculous. Yet that’s precisely what became official on Monday night, with the news that Royals manager Ned Yost had selected Holt as a jack-of-all-everything All-Star. So how did this all happen? How did the Red Sox end up with a man who has added new dimensions in Boston to the meaning of the term “superutility player”? Xander Bogaerts was also chosen to be one of five candidates for the fans’ final vote for the AL roster. Perhaps the beginning of an answer can be found with the 2005 Kansas City Royals. It seems a strange place to start, but it isn’t if you consider the biography of Nate Field, the Red Sox pro scout whose recommendation played a central role in the Sox’ acquisition of Holt from the Pittsburgh Pirates. Field pitched for six seasons in the big leagues, including four with the Royals from 2002-05. He retired after the 2009 season, and began working in the Red Sox pro scouting department late in 2010. He spent a year and change learning the ropes, and by 2012, he graduated to a full-timer responsible for the coverage of multiple organizations. Among them: the Pirates and Twins. The Double A affiliates of those two teams met in New Britain, Conn., in early August. The New Britain (Twins) and Altoona (Pirates) both featured big-name prospects, including Gerrit Cole, Aaron Hicks, and Oswaldo Garcia. But over three days from Aug. 3-5, 2012, Field kept noticing an unheralded Pittsburgh minor leaguer who never cracked Baseball America’s Top 100 or, for that matter, top 20 lists of Pirates prospects. As he watched the way that Holt played the game, Field conjured a comparison from his time with the Royals in 2005 — one that proved surprisingly prescient given Holt’s multipositional future. McEwing is one of the original superutility players. In six different seasons, he played seven different positions, tied for the most ever. Yet McEwing was a player who couldn’t contribute with the bat. Field viewed Holt as a different animal. Field was impressed with Holt’s approach, his hand-eye coordination, the way the barrel of the bat traveled to and through the strike zone. Holt hit .322 with a .389 OBP that year in Altoona, and Field thought those numbers accurately portrayed a player whose bat was an asset. Holt went 4 for 12 with a walk over three games while showing good range and a feel for the game at short, even if fringy arm strength gave him more of a second baseman’s profile. Makeup inquiries yielded glowing reviews. Holt was impressive enough that, when he got promoted to Triple A Indianapolis before the end of the series, Field was selfishly disappointed — though Holt’s tear through Triple A (.432/.476/.537) and a solid September big league call-up (.292/.329/.354) gave Field greater comfort with his report. Close to Christmas, Field received a call from Sox pro scouting director Jared Porter. The Sox and Pirates were working on the framework of a deal built around an exchange of All-Star closer Joel Hanrahan for Sox reliever Mark Melancon. Straight up, such a deal would have been a disaster. Hanrahan — whom the Sox considered a closer candidate not just for 2013 but also for a potential extension — blew out after nine appearances and hasn’t pitched since. Melancon, meanwhile, has emerged as one of the most dominant bullpen arms in the game and was named to his second All-Star team last night. But because the Sox sacrificed four years of Melancon for one of Hanrahan, they needed an additional piece in the deal, and based on Field’s report, they focused on Holt. The Pirates needed some additional pieces back if they were giving up Holt, so the Sox included Stolmy Pimentel (a pitcher whose arm the Sox had long prized, but who was entering his final season with minor league options and thus had a ticking clock on his time with the club), as well as depth options Ivan De Jesus Jr. and Jerry Sands. The deal has morphed into something impossible to anticipate. 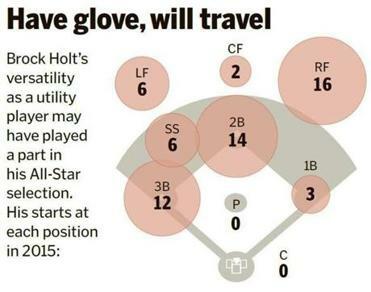 As good as Melancon has been, Holt arguably represents something more unusual and more valuable. 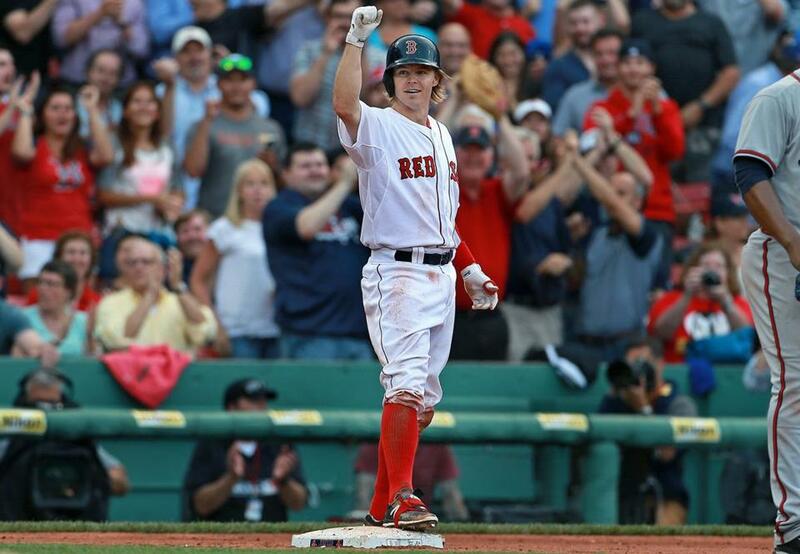 He’s delivered standout top-of-the-order performance (.295 average, a .383 OBP that’s seventh in the AL) as a super superutility player who can now claim a wildly unexpected title of an All-Star, validating the faith that the Sox showed in him even as Holt blew past even their most optimistic projections. Alex Speier can be reached at alex.speier@globe.com. Follow him on Twitter@alexspeier.